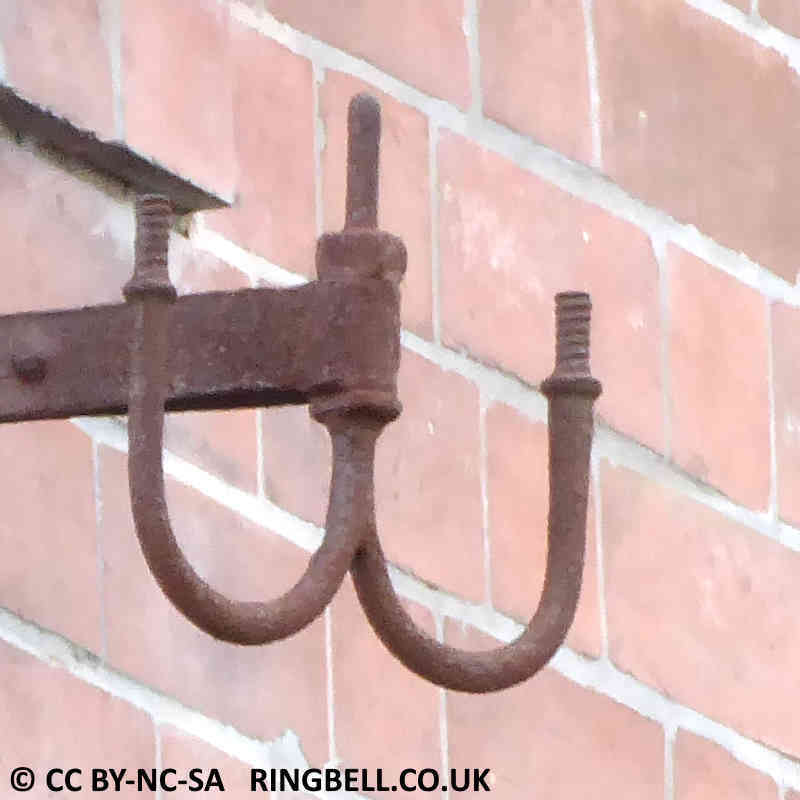 The Spindle No.10 is normally used for carrying insulators on both sides of a pole arm, on an intermediate pole. 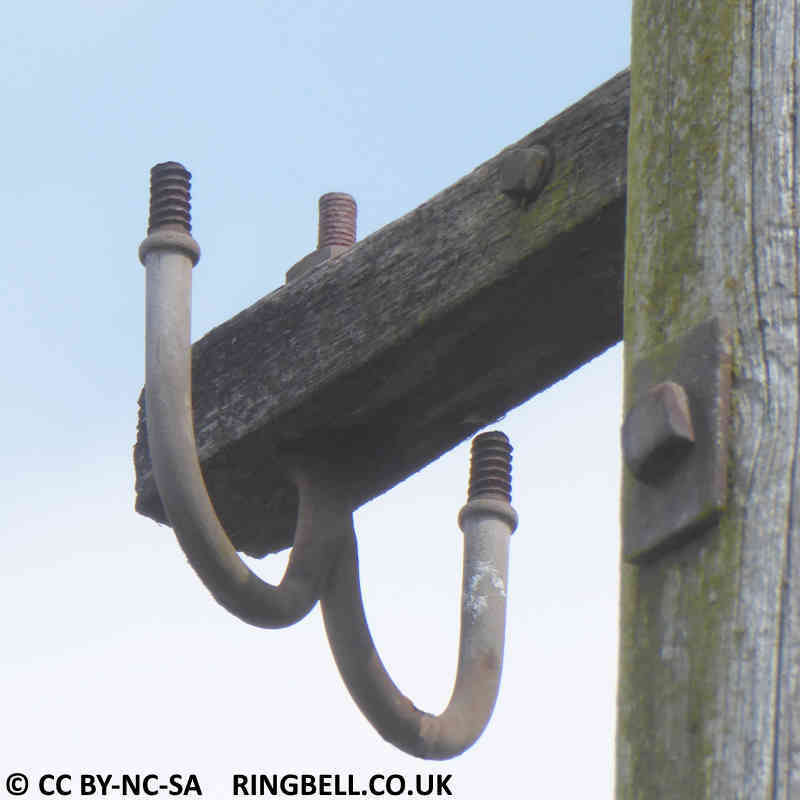 A type No.8 would be used on a terminating pole, one of these carries the drop wire and black insulator in this photograph. Its use in a wall bracket is more unusual. Probably not intended for this configuration as the securing bolt sticks out well above the wall bracket. Wires from poles to buildings are usually separated vertically, not horizontally. The two insulators are 8" apart, the centre bolt is 4&frac18;" a suitable length to pass through a pole arm.